New Arrival: Contours Bitsy Compact Fold Travel Stroller & Bitsy Travel Bag is the best travel combo for families on the go! Whether cruising through the burbs or sightseeing in the city, the Contours Curve makes strolling with two children a breeze. Its unique 6-wheel design makes steering and 360° turning as easy as a single stroller. 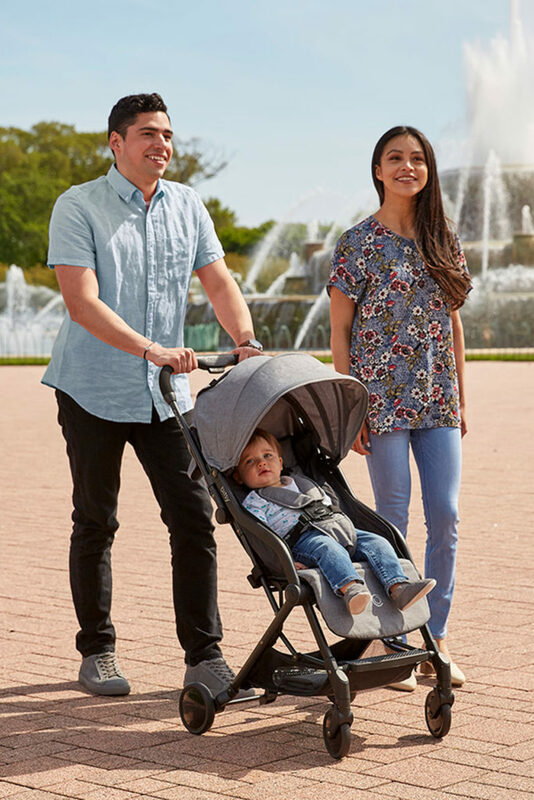 Super compact and lightweight at only 24 lb, the Bitsy Double is a perfect twin stroller or ideal for infant and toddlers to share the ride. Reclining seats and adjustable leg rests ensure a comfortable journey for your little ones. We'd love to meet you on our baby gear tour with Bump Club & Beyond, and Big City Moms! Explore our blog for latest updates, belly laughs, inside scoops and more! At Contours Baby, we are dedicated to offering baby products with innovative designs that fit families’ ever-changing needs. Family owned and operated, we are a part of a company that has been actively engaged in developing baby products for more than 70 years.